After proclaiming earlier this year that the State of Illinois should "divest from Israeli bonds", candidate Mike Frerichs has backtracked (once again). 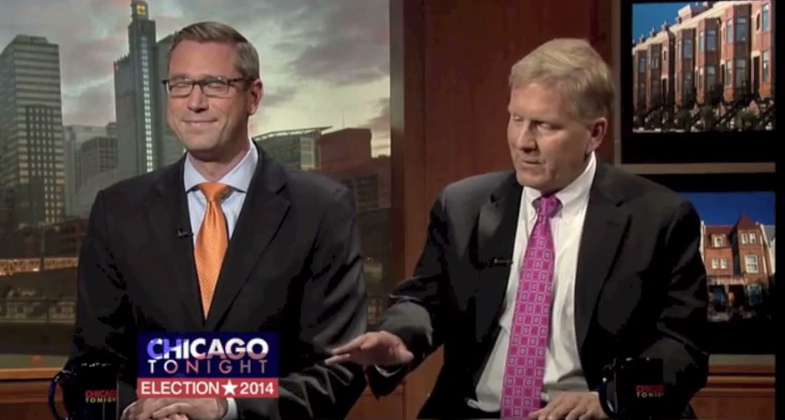 Frerichs’ criticism of overseas investments also is at odds with his past voting record. As a Senator, Frerichs has supported overseas investments , but now as a candidate for Treasurer, Frerichs is leveling harsh criticism at the Treasurer’s global investment strategy. One country that would be singled out under Frerichs’ plan is Israel. The office of Treasurer currently has $25 million invested in foreign bonds, all with the country of Israel. More than 80 states and municipalities in the United States currently invest in Israel bonds. Last month the state of Ohio invested over $47 million in Israel bonds. Today, an Israel Bond with a 10 year maturity pays nearly 1.4% above the U.S. Treasury rate for the same length. Since the introduction of the bonds in 1951, Israel has never missed or defaulted on a payment.